“She my number one, I don’t need nothing on the side. Said that I was done for good and don’t want no more lies. When I heard those lyrics. I was convinced that J.Cole has found a way to display his talent through his honesty and genuine artistry. 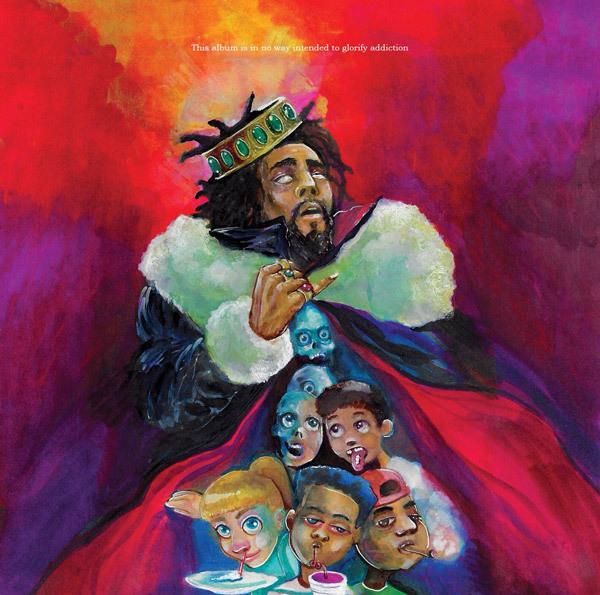 Lets track back to his last album (4 Your Eyez Only), the track ‘She’s Mine’ had J.Cole writing his emotions on his fingertips and playing with words about his love for his woman on that song. We saw a vulnerable side to him and it had some of us all up in our feelings. Fast-forward to his current album, in the ‘Kevin’s Heart’ track J.Cole manages to tell us what exactly he has been going through and its a complete contrast of ‘She’s Mine’. This not only displays growth because of the transition but it also shows us how he is able to capture our minds with his technique of being real and not trying to gain acceptance from the masses. I guess this is why we cannot get enough of J.Cole his ability to make us bump our heads to the beat and still make us actually listen to the lyrics! ‘Window Pain’ is a perfect example of this. Can we also discuss the beat on the ‘KOD’ track, though? Not forgetting the bars he dropped on ‘1985’. Yo, tell me which rap artist can rap on any type of beat and still make people press the rewind button just to listen to the lyrics… all over again? This is the J.Cole formula of staying true to himself and not being afraid of being open and honest about life, himself, relationships and how he views things. From day one, on tracks such as ‘Too Deep For The Intro’ right up to 2018 has kept him consistent! This album has dived into topics such as addiction, mental illness, drugs, fame and every other thing that people are often too scared to open up about. As an artist J. Cole has rapped about all these struggles without pressing any judgement, it already has people buzzing… The balance between having fun and dealing with inner conflict. Because real recognize real and there is comfort in knowing that an artist can rap about real issues!